Home / Animal / Wow!! 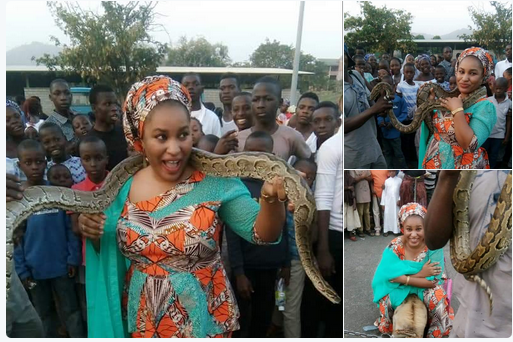 She Is The Most Bravest! Wow!! She Is The Most Bravest! 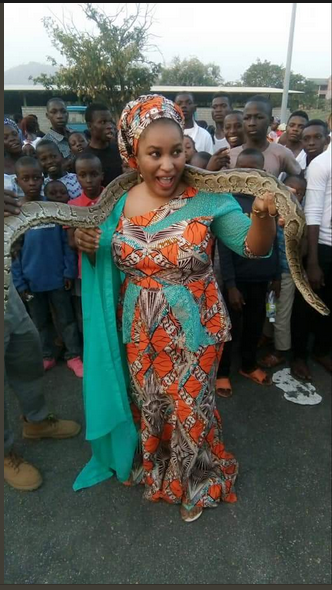 A beautiful woman was seen in an elated mood as she posed with a python in Kaduna state. 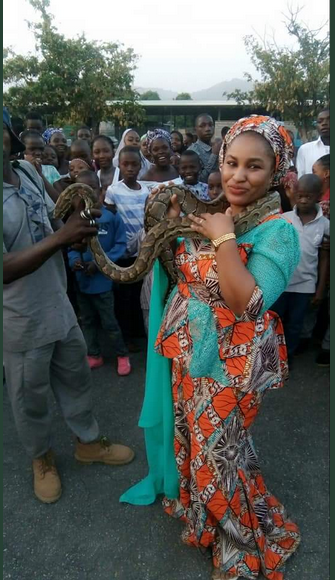 The woman who appeared very excited – posed with the huge reptile on her neck to the delight of children and others who surrounded her. 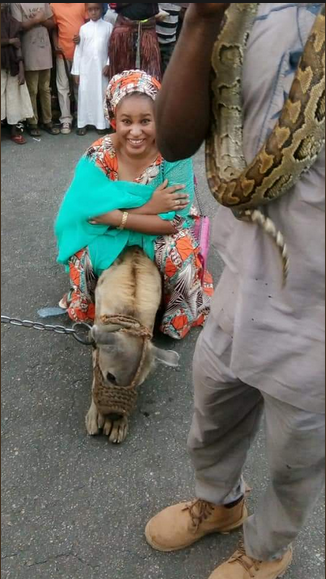 The “brave” woman also took a picture while sitting on a hyena which had its mouth sealed.